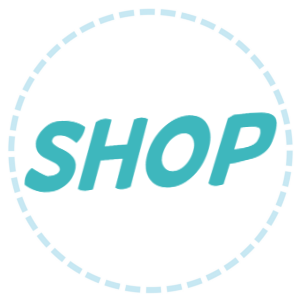 This post contains affiliate links, meaning at no additional cost to you I may get a percentage of the sale if you choose to buy through these links. Thanks for your support. 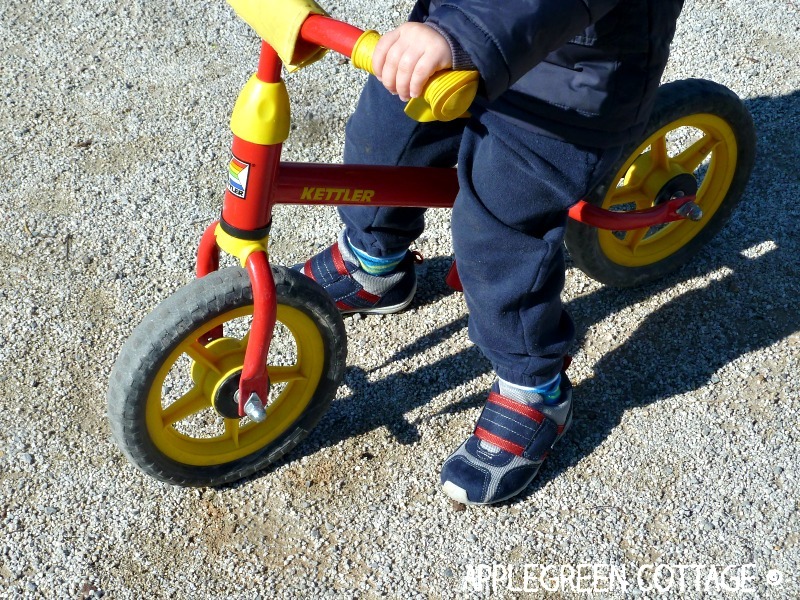 The winter being over, our toddler needed a new pair of shoes as his winter boots were too warm. The only thing to decide here was which of the Pediped models to get. I was thinking either Adrian or Charleston model... And guess what - after threee Charlestons in a row (in the same navy-blue color), it was time for a change: Pediped Flex Adrian it was this time! If there are more Pediped enthusiasts out there, let me make your decision easier by telling you a few of the things I realized about this model. 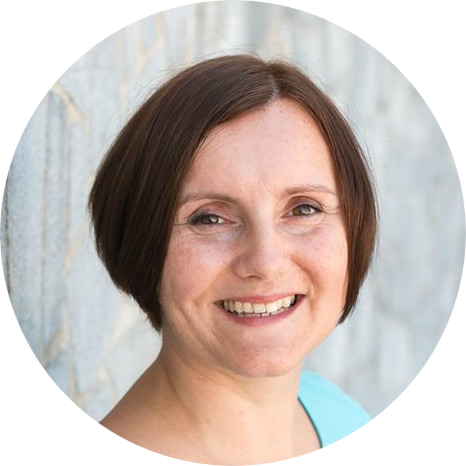 Firstly, I admit that most of the time, I go cheap with apparel for kids - meaning that I don't pay a lot of attention to higher-priced clothes and stuff. 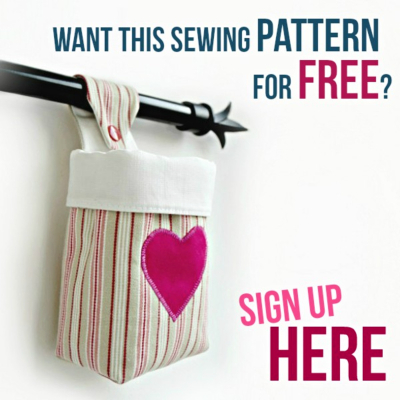 I love DIY and budget friendly solutions, and even sew sometimes a thing or two. 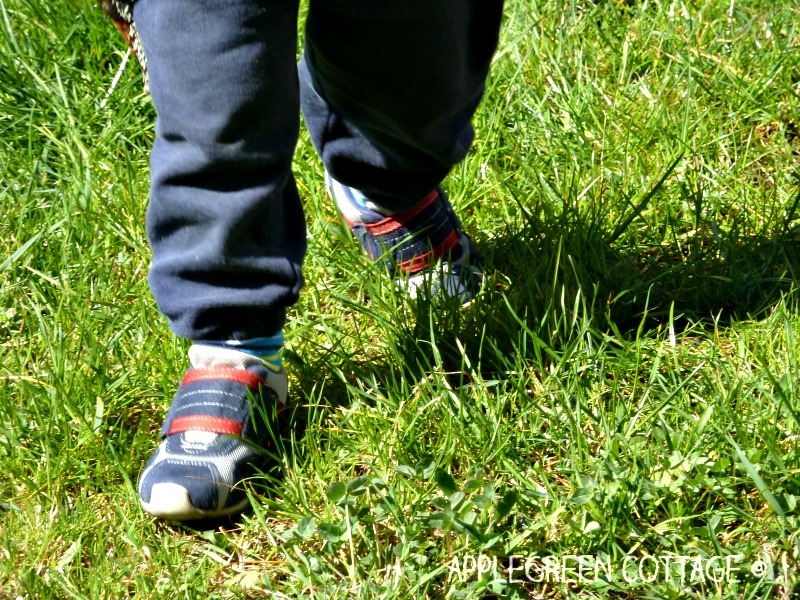 But shoes, toddler shoes are different: I don't want nor dare to skimp on kids shoes as they are crucial for healthy feet development. Especially at this age. 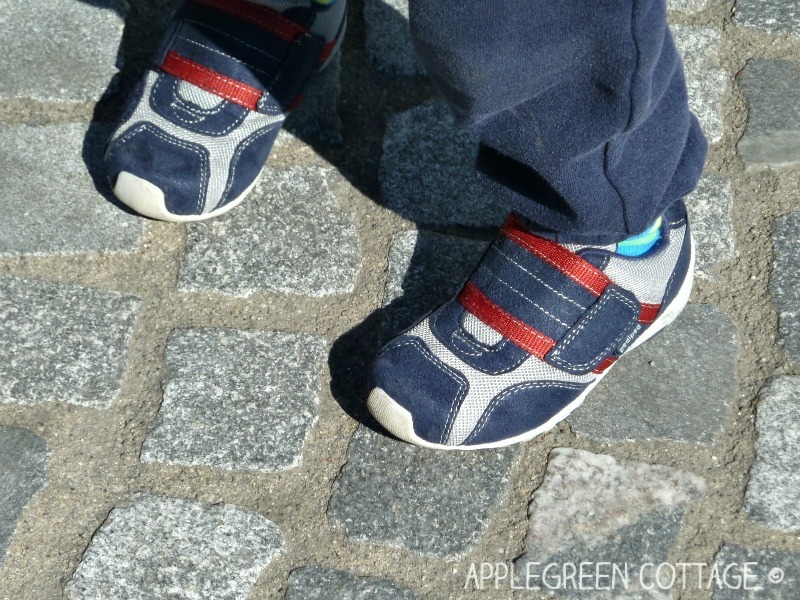 Did you know that the highest percentage of any feet deformation is due to inappropriate shoes? 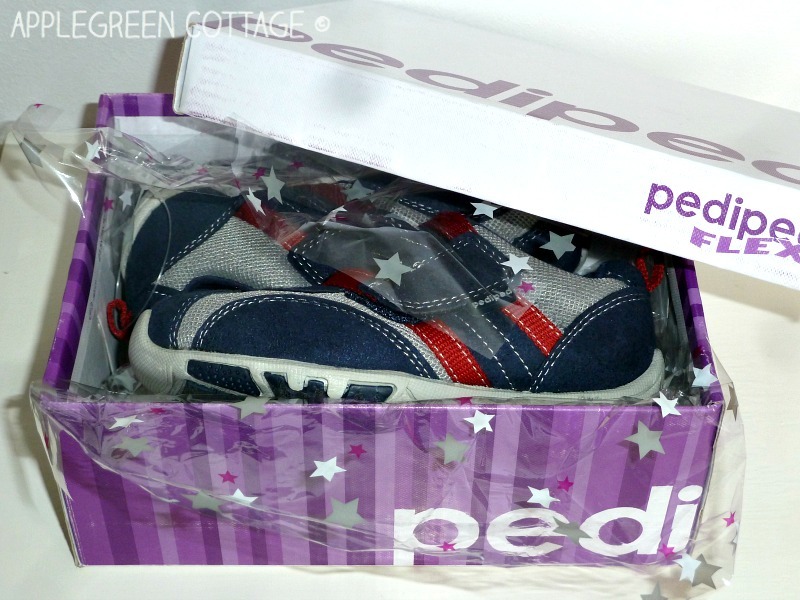 I fell in love with Pedipeds and have heavily relied on them ever since I got the option to compare them to the feel and wear of other brands. easy to keep clean - machine washable! That's why it always takes me a bit long to buy the new pair! I always reconsider my choice before buying, because at least in Slovenia, there are plenty of other brands cheaper than Pediped. But admittedly, I always come to the same conclusion: Pediped it is, despite the price. Why? 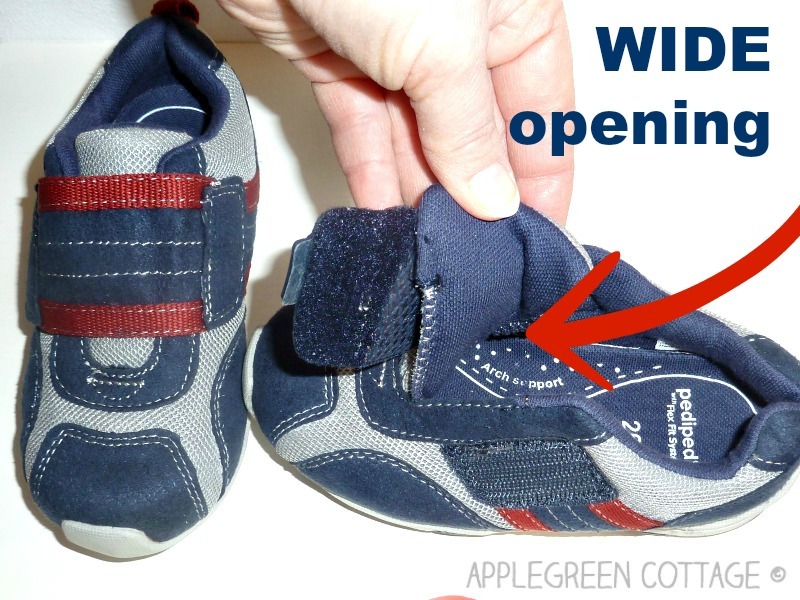 One of the best features of Pediped Flex shoes pricewise: they come with additional insoles. Meaning the shoe will be worn for a longer time than other pairs - which pretty much weighs out the price in comparison to other, cheaper shoe brands. 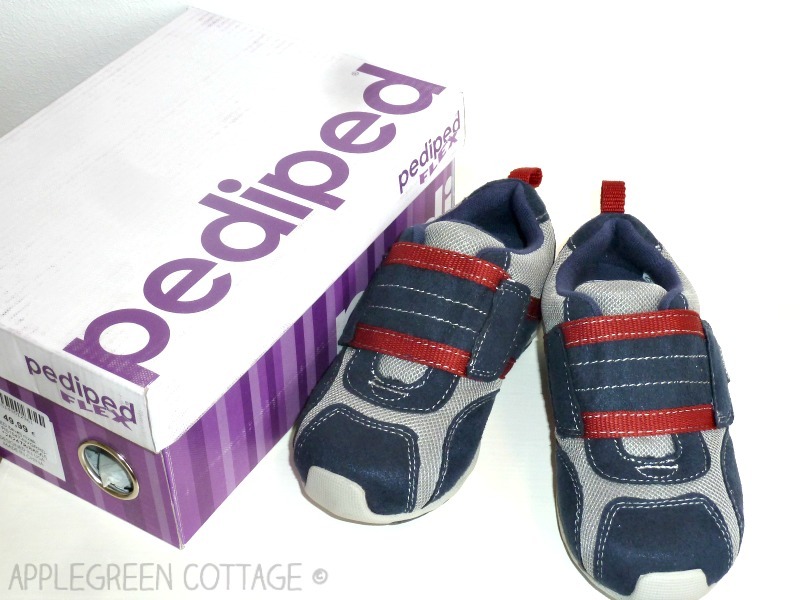 At least to my experience, a Pediped shoe has lasted nearly twice as long as other brands before outgrown... I just love it! 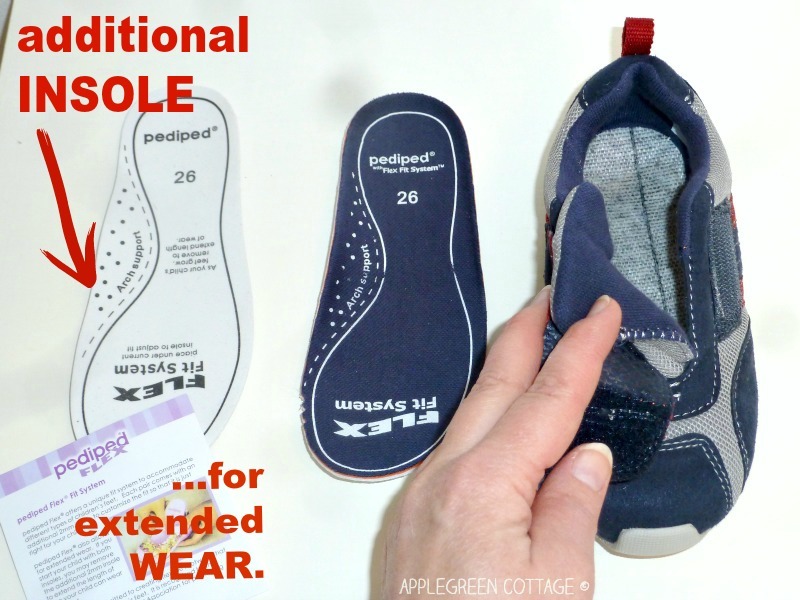 Pediped calls it the Flex Fit System - the additional (white in the photo) insoles can be inserted below the blue insole for a snug fit and then removed as your child's foot grows. And the wide Velcro strap stays put. Once you close the shoe, it will not loosen up just during playtime. Tried and tested - with a smaller-size of the Pediped Grip-and-Go Charleston model (which has thin Velcro straps) it did happen sometimes. But here - nope. It 'bonds' the shoe really strongly, without the need to tighten it too much. You can leave a loose fit and don't worry it would come of. 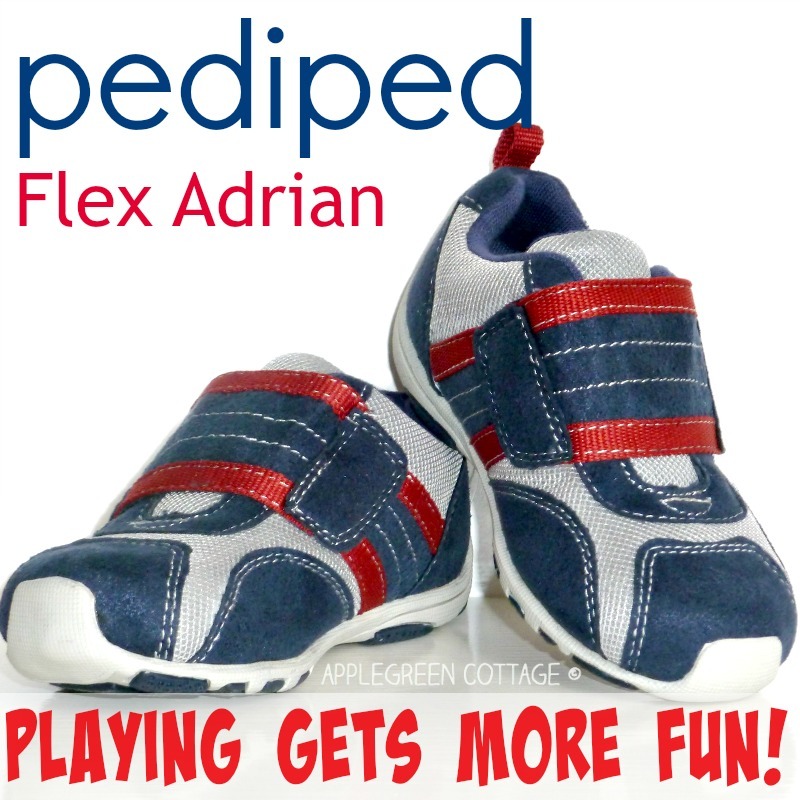 pediped Flex Adrian sneakers are MACHINE WASHABLE! I've tried going cheap with low-priced brands (no name-calling!) but it simply doesn't pay off - I usually ended up having to get SEVERAL pairs, and none would be suitable for all occasions. Nope. I'd rather have one reliable. But that's just my opinion. Off course, and I expected nothing less from Pediped than to be impressed. You shouldn't either. In the blue-red-white combination of leather and fabric, they are a casual model that will match just any outfit!